The hottest transfer saga in world football finally got a closure last night when Paris Saint Germain announced the signing of Neymar Jr. for a mind boggling sum of €222 million. Despite attempts from La Liga to botch the transfer, the Parisians succeeded in acquiring their biggest ever scoop till date. 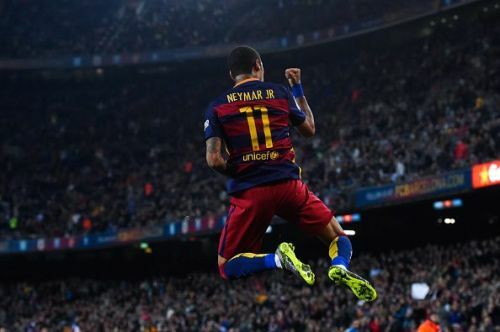 Neymar had an eventful stint with the Catalans where he spent four years and scored 105 goals in all competitions. During his time in Spain, the Brazilian poster boy won two La Liga titles, three Copa del Rey trophies, a Supercopa de Espana, one Champions League and one Club World Cup. His partnership with Luis Suarez and Lionel Messi became a sensational troika for Barcelona with the "MSN" wrecking havoc in Spain and in Europe. The 2015/16 season was the best season for Neymar in which he scored 20 goals and delivered 19 assists. In October, Barcelona welcomed Rayo Vallecano at Camp Nou for a league game which the Catalans comfortably won 5-2, courtesy Neymar's four goals. It was a magical performance from the Brazilian who also termed this match as "one of his best games for Barcelona." Neymar won two penalties in the first half and converted them with relative ease. He then scored a double in the next 45 minutes after some good link-up play with Luis Suarez. The Brazilian then capped it off with a fine assist for Suarez to complete a brilliant individual performance. It was a beginning for what turned out to be an unforgettable season for the Catalans where they completed a historic treble.